Cat Care Initiative is active in addressing the over population of cats and to assist individuals in Trent Hills Municipality by arranging for cats to be spayed/neutered at low cost spay/neuter facilities in Ontario. The members have been dedicated volunteers in the Trap/Neuter/Return program for feral cats Sept 1st/2014, having successfully T/N/R 'd over 200 feral cats, with financial aid from Local Donations. When the NHS suspended their Feral Cat T/N/R program, dedicated volunteers decided to continue the endeavour, and expand it, by recruiting volunteers and board members and establishing Cat Care Initiative. 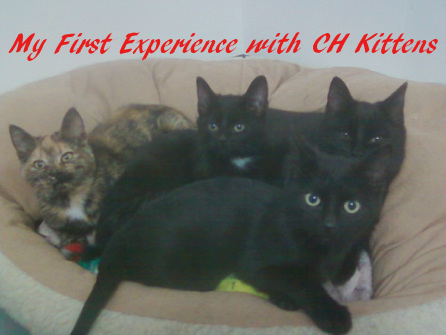 CCI volunteers are in full swing, having T/N/R'd over 200 cats since Sept 1st/2014. CCI often has cats and kittens in need of loving, forever homes. These perfect pets are fostered by volunteers until the time a permanent home can be found. CCI is a volunteer based program. No one is paid for the hours of dedication they provide to the individuals or cats that are assisted by the program. Financing is provided by our own fundraising & contributions from people like you. CCI is always in need of﻿ ﻿﻿contributions﻿﻿﻿, not only financially but also to provide care for foster cats and kittens, and housing and food for feral colonies. Please help us spread the word and find loving forever homes for deserving cats and kittens. We would greatly appreciate your donation of; old clean towels, large Rubbermaid containers with lids, cat food, cat litter, cat toys, cat climbers/trees, cat food and water dishes, heated water dishes, cat carriers, feral cat traps (raccoon sized traps), cat litter pans, "Advantage" or "Revolution" type flea control for cats. We are always looking for conscientious, dedicated volunteers for fundraising, fostering, transporting, and computer skills. We are often in need of carpentry skills to make outside "cat condos" for feral colonies as well. If you need assistance, would like to become a volunteer, or have items or skills to donate. One of our volunteers will get back to you as soon as possible. CCI is a registered Not for Profit Corporation. Our Mission is to reduce the number of feral/abandoned/unwanted and free-roaming cats in our area without euthanasia, while attempting to give a second chance to adoptable cats/kittens. Also we aim to educate regarding the importance of responsible cat ownership (including spay/neuter). CCI will not euthanize any cat or kitten unless it is terminally ill, considered dangerous or by the recommendation from a Veterinarian that it is in the animals best interest. ﻿ To promote and implement a TNR Program for managed feral cat colonies throughout the Trent Hills Municipality, including reduced cost of surgeries. To organize spay/neuter and adoption programs, through community support with fostering. Implement Education programs to make the Public aware of the problem of cat overpopulation, the benefits of spaying & neutering their pets, the procedure, and availability of a spay/neuter program. CCI volunteers would be happy to address your classroom, town meeting, or any other group about the benefits of spay/neuter, advantages of Trap/Neuter/Return, proper care for pets and feral colonies or any other animal related topics of interest to you.